Cell division is a vital process, and yet, we still do not know exactly how bacterial cells divide. One of the main projects in the lab is to understand cell division at the molecular level. In this research, we use the well-known bacterial model system Bacillus subtilis, and we focus especially at the interaction between the cell membrane and cell division proteins. One of our breakthroughs was the discovery of the conserved cell division protein SepF. Ultimately, we want to use this knowledge to make a minimal synthetic (bacterial) cell that can grow and divide. The bacterial cell is surprisingly complex in its organization, and many proteins are exclusively found at the poles. We have discovered that the curvature of the cell membrane can guide proteins to cell poles. However, the mechanism behind this process is in most cases still a mystery. Bacteria are confronted with an ever changing environment. Cellular adaptation processes to cope with these environmental stresses are carefully regulated. We and others have found that, often, the activation of these cellular differentiation processes (e.g. genetic competence, sporulation and motility) varies greatly between cells in the same population. This enables the population to follow a ‘bet-hedging’ strategy. We study the complex gene regulation processes behind these heterogenic or bimodal cellular differentiation processes. In our studies we use fluorescence microscopy that enables us to observe single bacterial cells. This technique is also very useful to study the mode of action of novel antimicrobial compounds. Using this technique, we have shown that certain membrane antibiotics will delocalize important membrane proteins in bacteria. Currently, we use our fluorescence microscopy tools to identify and characterize new antimicrobial compounds. B. subtilis is used in the industry to produce enzymes and vitamins. The bacterium is also used as a probiotic in animal feed, and in fact it is eaten by humans in the form of Natto, which is soybeans fermented by B. subtilis. In collaboration with industrial partners we help to further optimize B. subtilis for applied purposes. Sass, P. M. Josten, K. Famulla, G. Schiffer, H.G. Sahl, L. Hamoen, H. Brötz-Oesterhelt, Antibiotic acyldepsipeptides activate ClpP peptidase to degrade the cell division protein FtsZ. Proc Natl Acad Sci USA, 2011. 108-42: p. 17474-17479. Hamoen. L.W., Cell division blockage: but this time by a surprisingly conserved protein. Mol Microbiol, 2011. 81-1: p. 1-3. Gündoğdu, M., Y. Kawai, N. Pavlendova, N. Ogasawara, J. Errington, D. Scheffers, and L.W. Hamoen, Large ring polymers align FtsZ polymers for normal septum formation. EMBO J, 2011. 30-3: p. 617-626. Strahl, H. and L.W. Hamoen, Membrane potential is important for bacterial cell division. Proc Natl Acad Sci USA, 2010. 107-27: p. 12281-12286. Oliva, M.A., S. Halbedel, S.M. Freund, P. Dutow, T.A. Leonard, D.B. Veprintsev, L.W. Hamoen*, and J. Lowe*, Features critical for membrane binding revealed by DivIVA crystal structure. EMBO J, 2010. 29-12: p. 1988-2001. *corresponding authors. Lenarcic, R., S. Halbedel, L. Visser, M. Shaw, L.J. Wu, J. Errington, D. Marenduzzo, and L.W. Hamoen, Localisation of DivIVA by targeting to negatively curved membranes. EMBO J, 2009. 28-15: p.2272-2282. Lammers, C.R., L.A. Florez, A.G. Schmeisky, S.F. Roppel, U. Mader, L. Hamoen, and J. Stulke, Connecting parts with processes: SubtiWiki and SubtiPathways integrate gene and pathway annotation for Bacillus subtilis. Microbiology, 2010. 156-3: p. 849-859. Gamba, P., J.W. Veening, N.J. Saunders, L.W. Hamoen, and R.A. Daniel, Two-step assembly dynamics of the Bacillus subtilis divisome. J Bacteriol, 2009. 191-13: p. 4186-4194. Veening, J.W., E.J. Stewart, T.W. Berngruber, F. Taddei, O.P. Kuipers, and L.W. Hamoen, Bet-hedging and epigenetic inheritance in bacterial cell development. Proc Natl Acad Sci USA, 2008. 105-11: p. 4393-4398. Veening, J.W., O.A. Igoshin, R.T. Eijlander, R. Nijland, L.W. Hamoen, and O.P. Kuipers, Transient heterogeneity in extracellular protease production by Bacillus subtilis. Mol Syst Biol, 2008. 4-184: p. 184. Kirstein, J., H. Strahl, N. Moliere, L.W. Hamoen*, and K. Turgay*, Localization of general and regulatory proteolysis in Bacillus subtilis cells. Mol Microbiol, 2008. 70-3: p. 682-694. *corresponding authors. Claessen, D., R. Emmins, L.W. Hamoen, R.A. Daniel, J. Errington, and D.H. Edwards, Control of the cell elongation-division cycle by shuttling of PBP1 protein in Bacillus subtilis. Mol Microbiol, 2008. 68-4: p. 1029-1046. Susanna, K.A., A.M. Mironczuk, W.K. Smits, L.W. Hamoen, and O.P. Kuipers, A single, specific thymine mutation in the ComK-binding site severely decreases binding and transcription activation by the competence transcription factor ComK of Bacillus subtilis. J Bacteriol, 2007. 189-13: p. 4718-4728. Smits, W.K., T.T. Hoa, L.W. Hamoen, O.P. 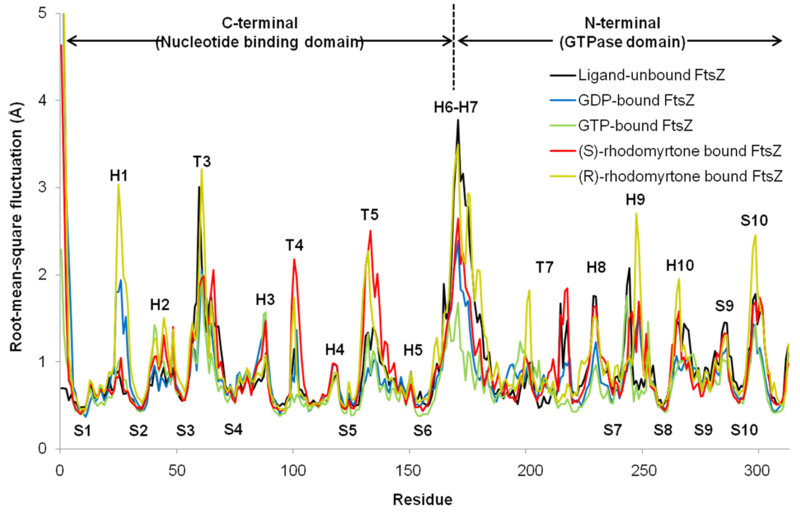 Kuipers, and D. Dubnau, Antirepression as a second mechanism of transcriptional activation by a minor groove binding protein. Mol Microbiol, 2007. 64-2: p. 368-381. Smits, W.K., C. Bongiorni, J.W. Veening, L.W. Hamoen, O.P. Kuipers, and M. Perego, Temporal separation of distinct differentiation pathways by a dual specificity Rap-Phr system in Bacillus subtilis. Mol Microbiol, 2007. 65-1: p. 103-120. Nijland, R., C. Lindner, M. van Hartskamp, L.W. Hamoen, and O.P. Kuipers, Heterologous production and secretion of Clostridium perfringens beta-toxoid in closely related Gram-positive hosts. J Biotechnol, 2007. 127-3: p. 361-372. Nijland, R., R. Heerlien, L.W. Hamoen, and O.P. Kuipers, Changing a single amino acid in Clostridium perfringens beta-toxin affects the efficiency of heterologous secretion by Bacillus subtilis. Appl Environ Microbiol, 2007. 73-5: p. 1586-1593. Duitman, E.H., D. Wyczawski, L.G. Boven, G. Venema, O.P. Kuipers, and L.W. Hamoen, Novel methods for genetic transformation of natural Bacillus subtilis isolates used to study the regulation of the mycosubtilin and surfactin synthetases. Appl Environ Microbiol, 2007. 73-11: p. 3490-3496. Veening, J.W., W.K. Smits, L.W. Hamoen, and O.P. Kuipers, Single cell analysis of gene expression patterns of competence development and initiation of sporulation in Bacillus subtilis grown on chemically defined media. J Appl Microbiol, 2006. 101-3: p. 531-541. Susanna, K.A., F. Fusetti, A.M. Thunnissen, L.W. Hamoen, and O.P. Kuipers, Functional analysis of the competence transcription factor ComK of Bacillus subtilis by characterization of truncation variants. Microbiology, 2006. 152-2: p. 473-483. Susanna, K.A., C.D. den Hengst, L.W. Hamoen, and O.P. Kuipers, Expression of transcription activator ComK of Bacillus subtilis in the heterologous host Lactococcus lactis leads to a genome-wide repression pattern: a case study of horizontal gene transfer. Appl Environ Microbiol, 2006. 72-1: p. 404-411. Hamoen, L.W., J.C. Meile, W. de Jong, P. Noirot, and J. Errington, SepF, a novel FtsZ-interacting protein required for a late step in cell division. Mol Microbiol, 2006. 59-3: p. 989-999. Veening, J.W., L.W. Hamoen, and O.P. Kuipers, Phosphatases modulate the bistable sporulation gene expression pattern in Bacillus subtilis. Mol Microbiol, 2005. 56-6: p. 1481-1494. Smits, W.K., C.C. Eschevins, K.A. Susanna, S. Bron, O.P. Kuipers, and L.W. Hamoen, Stripping Bacillus: ComK auto-stimulation is responsible for the bistable response in competence development. Mol Microbiol, 2005. 56-3: p. 604-614. Veening, J.W., W.K. Smits, L.W. Hamoen, J.D. Jongbloed, and O.P. Kuipers, Visualization of differential gene expression by improved cyan fluorescent protein and yellow fluorescent protein production in Bacillus subtilis. Appl Environ Microbiol, 2004. 70-11: p. 6809-6815. Susanna, K.A., A.F. van der Werff, C.D. den Hengst, B. Calles, M. Salas, G. Venema, L.W. Hamoen*, and O.P. Kuipers*, Mechanism of transcription activation at the comG promoter by the competence transcription factor ComK of Bacillus subtilis. J Bacteriol, 2004. 186-4: p. 1120-1128. *corresponding authors. Lindner, C., R. Nijland, M. van Hartskamp, S. Bron, L.W. Hamoen, and O.P. Kuipers, Differential expression of two paralogous genes of Bacillus subtilis encoding single-stranded DNA binding protein. J Bacteriol, 2004. 186-4: p. 1097-1105. Baerends, R.J., W.K. Smits, A. de Jong, L.W. Hamoen, J. Kok, and O.P. Kuipers, Genome2D: a visualization tool for the rapid analysis of bacterial transcriptome data. Genome Biol, 2004. 5-5: p. R37. Hamoen, L.W., G. Venema, and O.P. Kuipers, Controlling competence in Bacillus subtilis: shared use of regulators. Microbiology, 2003. 149-1: p. 9-17. Hamoen, L.W., D. Kausche, M.A. Marahiel, D. van Sinderen, G. Venema, and P. Serror, The Bacillus subtilis transition state regulator AbrB binds to the -35 promoter region of comK. FEMS Microbiol Lett, 2003. 218-2: p. 299-304. Hamoen, L.W. and J. Errington, Polar targeting of DivIVA in Bacillus subtilis is not directly dependent on FtsZ or PBP 2B. J Bacteriol, 2003. 185-2: p. 693-697. Meima, R., C. Eschevins, S. Fillinger, A. Bolhuis, L.W. Hamoen, R. Dorenbos, W.J. Quax, J.M. van Dijl, R. Provvedi, I. Chen, D. Dubnau, and S. Bron, The bdbDC operon of Bacillus subtilis encodes thiol-disulfide oxidoreductases required for competence development. J Biol Chem, 2002. 277-9: p. 6994-7001. Hamoen, L.W., W.K. Smits, A. de Jong, S. Holsappel, and O.P. Kuipers, Improving the predictive value of the competence transcription factor (ComK) binding site in Bacillus subtilis using a genomic approach. Nucleic Acids Res, 2002. 30-24: p. 5517-5528. Risoen, P.A., O. Johnsborg, D.B. Diep, L. Hamoen, G. Venema, and I.F. Nes, Regulation of bacteriocin production in Lactobacillus plantarum depends on a conserved promoter arrangement with consensus binding sequence. Mol Genet Genomics, 2001. 265-1: p. 198-206. Hamoen, L.W., B. Haijema, J.J. Bijlsma, G. Venema, and C.M. Lovett, The Bacillus subtilis competence transcription factor, ComK, overrides LexA-imposed transcriptional inhibition without physically displacing LexA. J Biol Chem, 2001. 276-46: p. 42901-42907. Hamoen, L.W., A.F. Van Werkhoven, G. Venema, and D. Dubnau, The pleiotropic response regulator DegU functions as a priming protein in competence development in Bacillus subtilis. Proc Natl Acad Sci USA, 2000. 97-16: p. 9246-9251. Kuipers, O.P., A. de Jong, S. Holsappel, S. Bron, J. Kok, and L.W. Hamoen, DNA-microarrays and food-biotechnology. Antonie Van Leeuwenhoek, 1999. 76-1-4: p. 353-355. Duitman, E.H., L.W. Hamoen, M. Rembold, G. Venema, H. Seitz, W. Saenger, F. Bernhard, R. Reinhardt, M. Schmidt, C. Ullrich, T. Stein, F. Leenders, and J. Vater, The mycosubtilin synthetase of Bacillus subtilis ATCC6633: a multifunctional hybrid between a peptide synthetase, an amino transferase, and a fatty acid synthase. Proc Natl Acad Sci USA, 1999. 96-23: p. 13294-13299. Hamoen, L.W., A.F. Van Werkhoven, J.J. Bijlsma, D. Dubnau, and G. Venema, The competence transcription factor of Bacillus subtilis recognizes short A/T-rich sequences arranged in a unique, flexible pattern along the DNA helix. Genes Dev, 1998. 12-10: p. 1539-1550. Turgay*, K., L.W. Hamoen*, G. Venema, and D. Dubnau, Biochemical characterization of a molecular switch involving the heat shock protein ClpC, which controls the activity of ComK, the competence transcription factor of Bacillus subtilis. Genes Dev, 1997. 11-1: p. 119-128. *both authors equally contributed. Elsner, A., H. Engert, W. Saenger, L. Hamoen, G. Venema, and F. Bernhard, Substrate specificity of hybrid modules from peptide synthetases. J Biol Chem, 1997. 272-8: p. 4814-4819. Haijema, B.J., D. van Sinderen, K. Winterling, J. Kooistra, G. Venema, and L.W. Hamoen, Regulated expression of the dinR and recA genes during competence development and SOS induction in Bacillus subtilis. Mol Microbiol, 1996. 22-1: p. 75-85.
van Sinderen, D., A. Luttinger, L. Kong, D. Dubnau, G. Venema, and L. Hamoen, comK encodes the competence transcription factor, the key regulatory protein for competence development in Bacillus subtilis. Mol Microbiol, 1995. 15-3: p. 455-462. Hamoen, L.W., H. Eshuis, J. Jongbloed, G. Venema, and D. van Sinderen, A small gene, designated comS, located within the coding region of the fourth amino acid-activation domain of srfA, is required for competence development in Bacillus subtilis. Mol Microbiol, 1995. 15-1: p. 55-63. Haijema, B.J., L.W. Hamoen, J. Kooistra, G. Venema, and D. van Sinderen, Expression of the ATP-dependent deoxyribonuclease of Bacillus subtilis is under competence-mediated control. Mol Microbiol, 1995. 15-2: p. 203-211.
van Sinderen, D., A. ten Berge, B.J. Hayema, L. Hamoen, and G. Venema, Molecular cloning and sequence of comK, a gene required for genetic competence in Bacillus subtilis. Mol Microbiol, 1994. 11-4: p. 695-703.